I had watch a video on IBN site . On that video I can see some flash programs are running. Based on this I can say that this Android version is Android 2.2 Froyo. Which had support for adobe flash player ( for ARM architecture ). This new device will compete with OLPC from MIT, ClassMate PC from Intel and Mobilis from DSK Digital. This tablet ( Android OS actually ) support video web conferencing, multimedia content viewer (pdf, docx, ods, adp, jpeg, gif, png, bmp, odt, zip, avchd, avi, ac3, xls), searchable pdf reader, unzip tool. Which is not great deal, except "Video Web Conferencing". All other file format are well support of any Linux or Open Source Operating System. As they mention that it dose not have hard disk means it uses NAND Disk or Flash memory. Which is good for computing device's ruggedness. 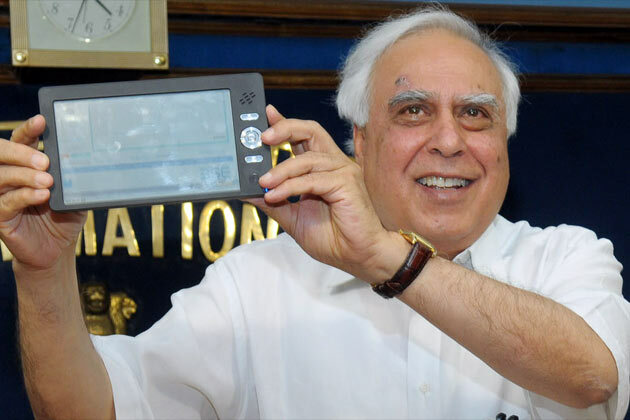 This tablet is released by Indian government just for RS 1500. Mr. Kapil Sibal ( Union Minister for Human Resource Development [ HRD] of India ) on 22 july 2010. Rs. 1500 is really catching and competing figure, which really bits 100$ OLPC or any other projects. This will be the cheapest computer of world. Which makes every Indian proud to be Indian. And this efforts from really great team. Yes, developer behind this project are all top brain from India. This tablet has been developed by R&D team by IIT & IISc experts. The laptop is currently not available for sale in the market as the Government has decided to launch it for students in 2011.
i m not getng,wat this actuly?? Also you can think of iPad kind of device. This will take one to two years to come into market.